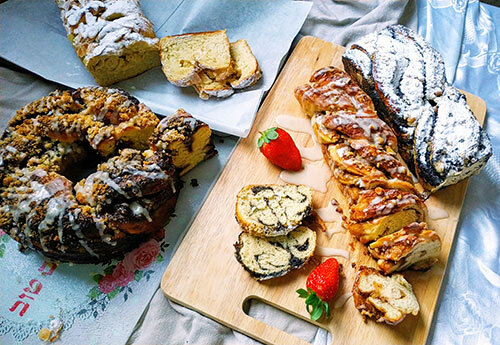 Just as New Yorkers wax nostalgically poetic about babka from iconic Jewish eateries like Zabar’s, Israelis have a tradition of going equally nuts for them. 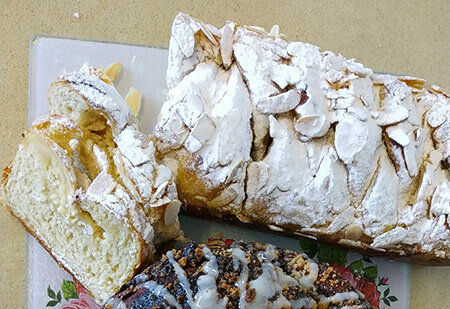 Friday mornings feature incredibly long lines at bakeries known for their flavored yeast cakes, both traditional versions and more modern Israeli takes. So, what’s a modern Israeli yeasted cake? Think Nutella (nothing can’t be improved with Nutella, am I right? ), halva spread and pistachio. The aroma of baking bread combined with the scents of sweet cinnamon, creamy butter, chocolate and shortbread cookie dough is heavenly. 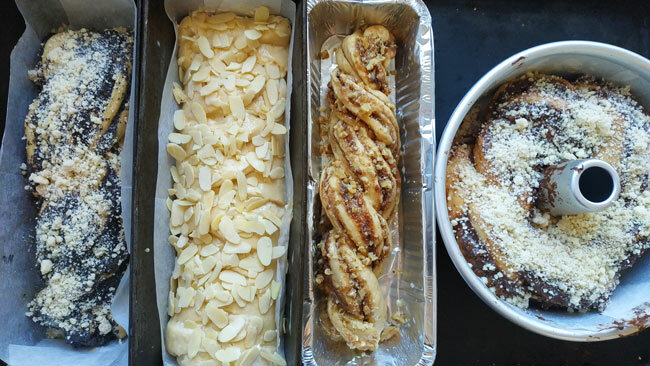 The recipes I feature below, with an array of possible fillings, toppings and shapes, will hopefully serve as a primer on all things babka for the range of dessert palates you are no doubt trying to please. 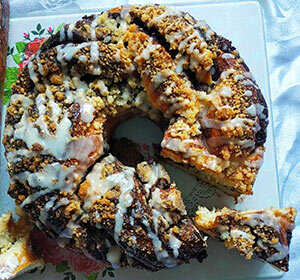 Here, I’ve tackled an almond-crusted sweet cheese braid; double-decker poppyseed swirl; chocolate pecan coffee cake ring; and cinnamon-swirl, standard-twist babka. But, in truth, any shape can be paired with any filling for a successful outcome—save perhaps the cheese filling, which does best when formed as one thick central filling surrounded by dough. Along with this recipe guide, I’m including fool-proof tips and insider bakery tricks. All you knead to know! Using baking forms such as a loaf pan, ring or springform pan means you can get away with less than perfect braiding skills and even over-filling. Use baking forms as your safety guard, and know that even if your cakes look less than perfect going into the oven, the baking forms will keep them in shape, so to speak. As with any other yeasted item: Let them rise! 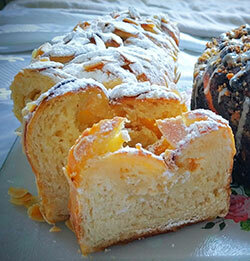 Giving the filled and shaped cakes ample rising time is essential for a light and fluffy final product. Sometimes, especially in the winter, this can take longer than expected, or written in a recipe. The golden rule is to wait until the cakes begin peaking over the top of the baking form before putting in the oven. An easy out: Cutting parchment paper inserts for all types of cakes and breads baked in a form will make removing the cakes later far less onerous. 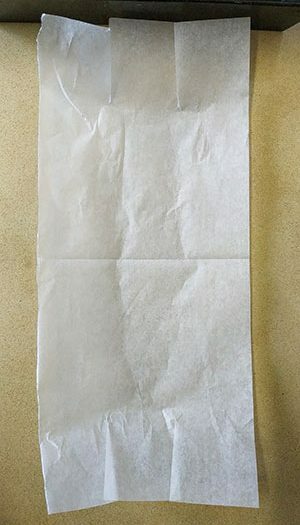 To get the perfect fit for a loaf pan, make a large strip of parchment paper that is about one-and-a-half times the width and the length of your pan; then, cut three fat “fingers” 2 to 3 inches up on either end, and push the strip of paper down into your pan. The fingers will fold down over one another to create a little paper basket into which you can place the dough without fear of sticking. Babkas freeze and defrost very well. Consider making a double batch to always have these insanely popular cakes on hand for unexpected guests. Makes enough for three cakes, each made from a little over 1 pound of dough. 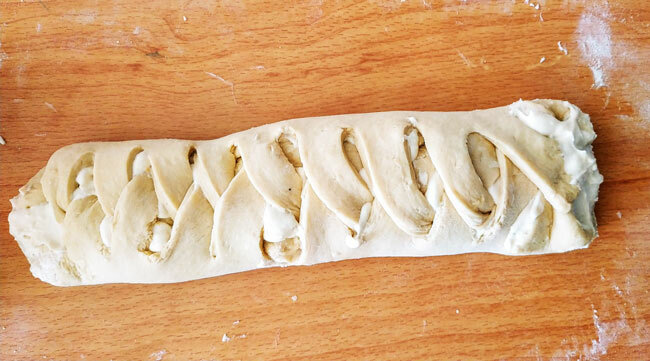 This dough can easily be doubled. Traditionally made from a Danish dough consisting of thin layers of butter rolled alternately with thin layers of dough, my hassle-free version skips the time-consuming process of laminating the butter and dough. My coffee cake/babka dough is based on a recipe that resembles a challah or brioche, with a little added butter where it counts, and could easily pass a side-by-side comparison with the original laminated recipe. For later: Egg wash (1 egg plus 1 tablespoon water) for brushing cakes before baking. In an extra-large bowl, combine flours, dried yeast, salt and sugar, mixing briefly after each addition. Add the butter, and work it into the flour mixture using your fingertips. Lightly beat eggs and add to the flour mixture along with the vanilla extract. Mix to combine, then add milk a bit at a time until the flour is moistened enough to form a dough without being sticky. 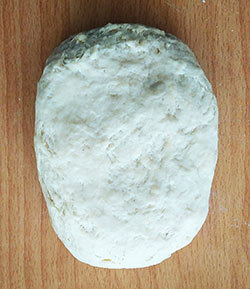 Turn out dough onto a lightly floured working surface and knead until smooth and elastic, 5 to 10 minutes. Form the dough into a ball, and return it to the bowl. Cover with plastic wrap and let rise until at least tripled in size. Allow a few hours at least for this step to ensure your dough has risen to its maximum. 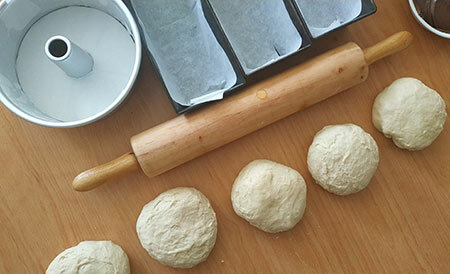 After the dough has risen, you can either work with it immediately, or store it in a plastic bag (squeeze out any excess air) or airtight container in the fridge for up to three days before using. Whisk all ingredients together except the almonds to create a smooth mixture. Use immediately, or cover and keep in the fridge for 1-2 days. Reserve the almonds for sprinkling over the formed cake just before baking. Mix first Nutella and espresso powder together until combined. Use immediately, or store in an airtight container at room temperature indefinitely. 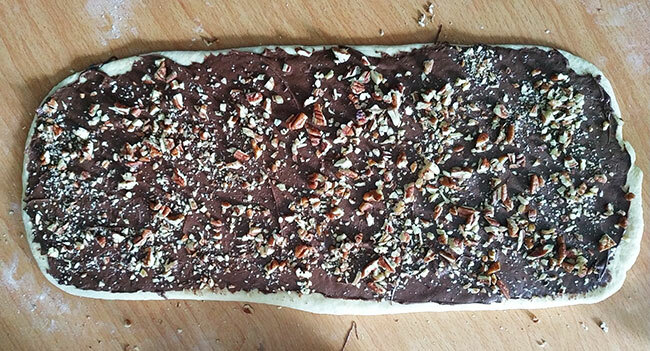 Reserve pecans for sprinkling over the spread Nutella mixture while filling the babka dough. Using a food processor, pulse cookies until you have fine crumbs. You can do this using a rolling pin and a ziplock bag. Scrape the cookie crumbs out of the food processor if using, and set aside. 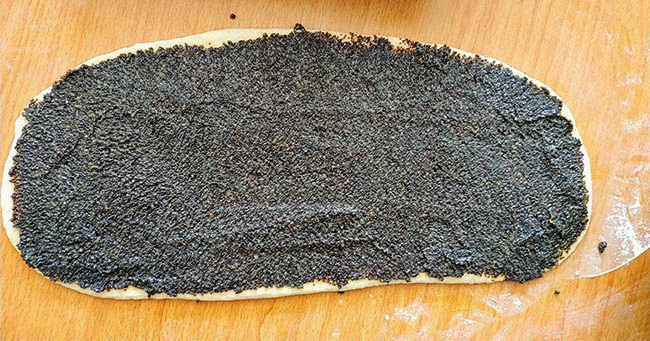 In the same food processor (you do not need to wash it), pulse the poppy seeds a few times until they are slightly crushed. In a small saucepan over medium heat, bring milk, sugar, honey and lemon zest to a light boil. Add poppy seeds and stir constantly for 2 to 3 three minutes, until thickened. Add the butter and 1/2 cup of the cookie crumbs, and the rest if needed, to achieve a thicker texture and sweeter flavor. Let cool completely before using. Leftover filling can be used for cookies, specifically hamantaschen. The filling can be kept in the fridge for 3-5 days, and frozen for up to three months in an airtight container. 1/2 cup walnuts, finely chopped for sprinkling over the top. For this babka, first spread softened butter over the dough, then sprinkling an amount of brown sugar and cinnamon. 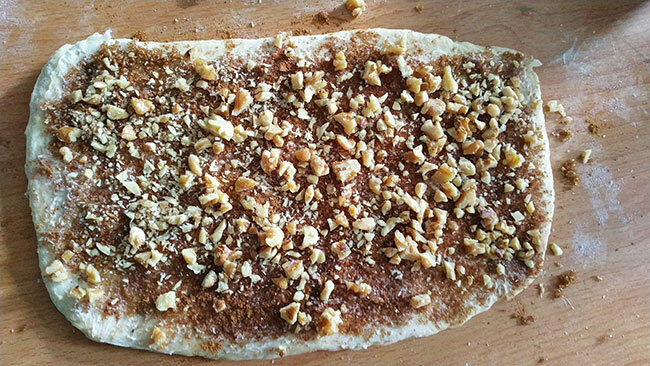 Lastly, disperse the chopped walnuts over the sugar and cinnamon, before rolling up the babka and shaping into a swirl. Combine all the ingredients using a fork. Use immediately, or store in the fridge for up to 1 week. In a medium bowl whisk together flour, powdered sugar, salt and baking powder. Cut butter into small chunks and dump over the flour mixture. Using you fingertips, integrate the butter into the flour mixture until you start to get a consistency that is like cookie dough crumbs. Stop if the mixture starts to get sticky. A good test for a stopping point is to squeeze a few crumbs together in your palm. If they easily bind together to make a ball of cookie dough, then the mixture is ready. Keep in fridge until using, and sprinkle cold on cakes over the egg wash, just before baking. Keeps in the fridge in an airtight container for 1 week, and in the freezer for up to 3 months. Basting with a half cup of simple syrup directly upon pulling a babka from the oven is the professional secret behind a soft, bakery-quality cake. Basting with syrup allows a babka to retain its moisture for up to three days—and gives it one last buttery kick. In a medium sauce pan add all the ingredients. Bring to a light boil without stirring, and continue to cook for 1 to 2 minutes, until the sugar has dissolved completely and the syrup has thickened slightly. Skim off any foam made by the butter. Evenly pour about 1/2 cup of the hot syrup over the hot cakes just after they come out of the oven. If the syrup has cooled, reheat just before removing cakes from the oven. Most desserts looks fancier with a drizzle of glaze on top. This glaze is very customizable: Add a bit of cocoa powder, citrus zest or extract, and sub in whatever you like for the amount of liquid, and it can take on any flavor. Also perfectly good as is, the small amount of honey here helps the glaze to harden as it sets. As far as consistency goes, you’re looking for a glaze that is thicker than you might expect. Resist the urge to adjust, as a thinner glaze will become almost translucent when drizzled over a cake, instead of bright white. Also, don’t break the laws of baking by drizzling this over a warm cake. Waiting until the cake has cooled will let the glaze harden and set properly, instead of melting into a translucent puddle. Now that you’ve prepped the dough, fillings and toppings, it’s time to get down to business. No matter what shape you choose, don’t forget the most important step: letting them rise to their absolute maximum before brushing with egg wash and topping, and then baking. Move the jelly roll 90 degrees so that it lays vertically in front of you, and push down on the top to flatten slightly. Cut completely in half down the middle using a very sharp knife, then turn the two strands so the swirled insides face outwards, while the strands are laying back to back. Twist the strands around each other 2 to 3 times, and place down into a parchment-lined, 8-inch loaf pan. Let babka rise over the top of the pan (about 1 hour), then brush with egg wash, top with desired topping (if using) and bake for 30 to 35 minutes at 350°. A properly baked loaf should be deep golden brown and have a firm exterior with a little give when push down on. Once baked, remove the cake from the oven and immediately baste with 1/2 cup hot syrup. Roll out dough into an elongated rectangle shape about 1/4-inch thick, spread with filling and roll up like a jelly roll working from the longer edge. Seal the open seam at the end by pinching it together with your fingers. At this point you should have a jelly roll that is approximately twice as long as an 8-inch loaf pan. Turn the jelly roll 90 degrees so that it lays vertically in front of you. Fold the jellyroll up and over itself to create a stacked double layer jelly roll. Cut completely in half down the middle using a very sharp knife, then turn the two strands so the swirl insides face outwards, while the strands are laying back to back. Twist the strands around each other 2 to 3 times, and place into a parchment-lined, 8-inch loaf pan. Once baked, remove the cake from the oven, and immediately baste with ½ cup hot syrup. Let cool completely, then dust with powdered sugar just before serving. This is the ideal shape for fillings that might get lost in a cake when baked. 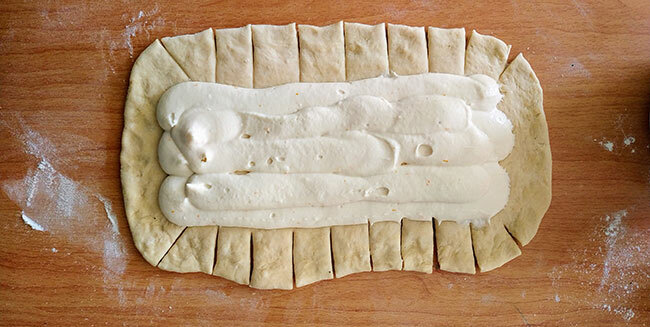 Roll dough out into a vertical rectangle. Pipe a thick layer of cheese filling inside the rectangle, making sure to leave 2 inches on all sides. Cut slits into dough all around the filling, where the dough is exposed and does not have any cheese filling. Create a braid effect to cover the filling by folding down the top portion, and gently tugging and securing the slits down and over in a crisscross pattern. Do this down the entire length of the load until you reach the second to last set of slits. Fold up the bottom section first, then fold the remaining set of slits down and over to secure the design. Place into a parchment-lined 8-inch loaf pan. 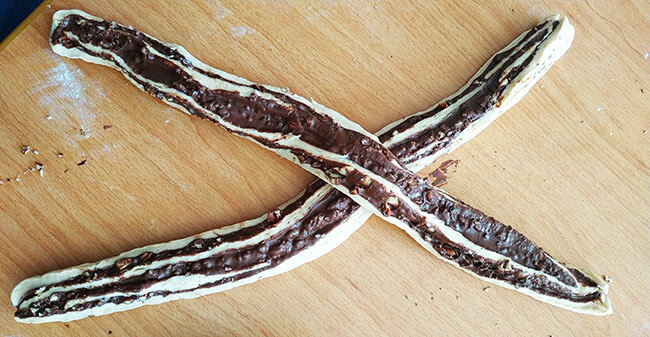 Don’t worry if the filling is coming out of the braid slightly, the spilling will be hidden in the final product. Let dough rise over the top of the pan (about 1 hour), then brush with egg wash, top with almond slices and bake for 30 to 35 minutes at 350°. The cheese braid is done when the filling is visibly set and the cake is golden brown. 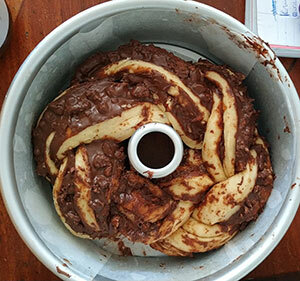 Used here for the chocolate-pecan variation, this shape is comprised of filling and forming the babka first in the standard way (as with the cinnamon-swirl babka) before placing into a well-greased or parchment-lined 8-inch tube pan, tucking the tail of the cake just under the braid to secure the end. Let the dough rise over the top of the pan (1 hour or more), then brush with egg wash, top with streusel and bake for 30 to 35 minutes at 350°. A properly baked loaf should be deep golden brown and have a firm exterior with a little give when push down on. Let cool completely, then drizzle with milk glaze before serving. If wrapping up the cake as a hostess gift, first let the glaze harden to the touch before packing. 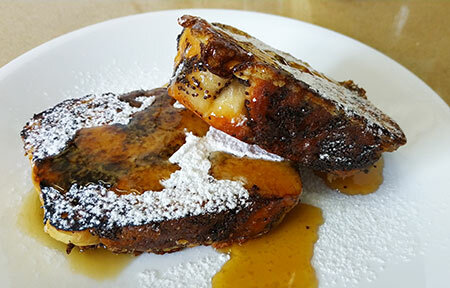 In the exceedingly unlikely event that you have leftover babka, using slices of it for French toast is out of this world. While French toast casseroles and bread puddings aim to jazz up plain brioche, challah or white bread with added flavor and a bomb of calories, your already flavorful bakba cake doesn’t need anything more than a generous coating of lightly beaten eggs, milk and cinnamon for a delicious rebirth. In a wide bowl, lightly beat together eggs, milk, vanilla extract and cinnamon. 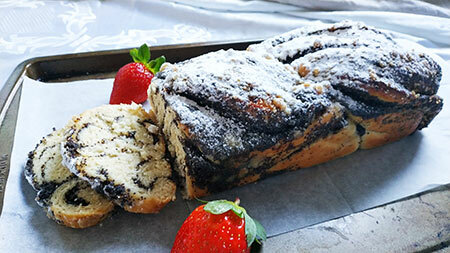 Cut babka into thick slices. Add 1 tablespoon of olive oil to frying pan and heat on medium high. Dip babka slices one at a time in the egg mixture, turning to coat. Let excess egg mixture drip off. Fry 4 slices at a time, until babka is deep golden brown on one side. Then flip and cook until the second side is deep golden brown. Serve immediately, with a dusting of powdered sugar and real maple syrup. Thank You for this in-depth all-things-babka article, Jessica. Would it ruin the babka if I used almond milk instead of cow’s milk? Sure, almond milk or even water would work great! Can’t cook an egg/where can I buy best babka? 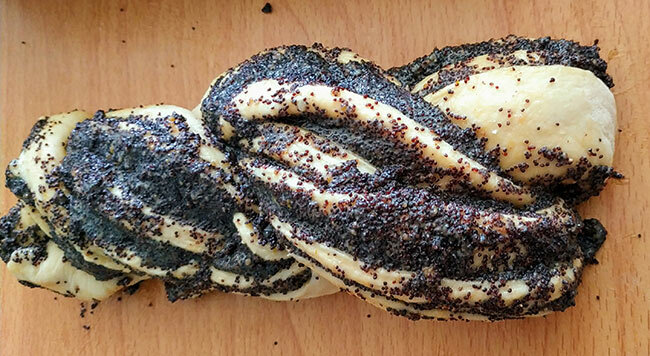 If you’re in New York, Breads Bakery on 16th St. makes a damn fine babka, one of the best commercial ones available. But you really should try making your own. Even if it doesn’t look exactly the way you want the first time, it will still taste delicious. 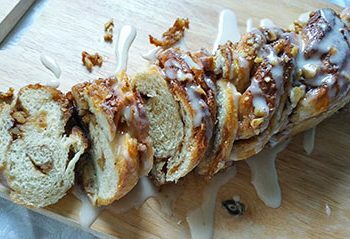 I follow a vegan diet and was wondering if you could make a vegan version of babka? Please let me know. Yes, I believe you could! Try subbing coconut oil or margarine for butter (olive oil would even work for the dough itself), and almond milk or water for regular milk in the recipes. Good luck!